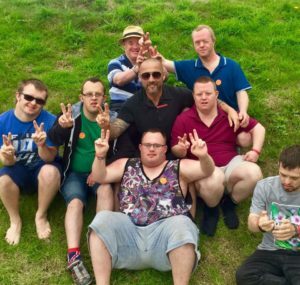 Do you want to help support adults with learning disabilities in your local community? Look no further, we have all the opportunities you could imagine! From weekly clubs to special events and day trips, even holidays. 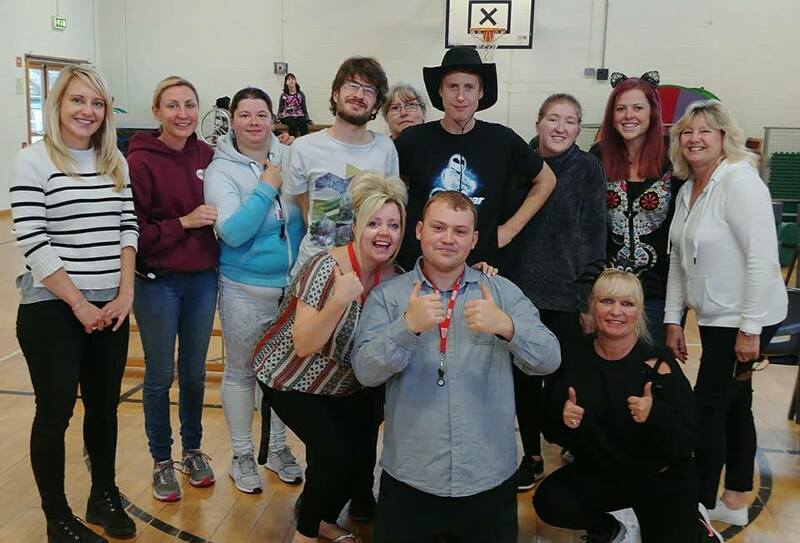 Volunteering with Keynsham Mencap is a second-to-none experience when it comes to making a real difference to your own and other people’s lives. Could you help us with regular volunteering at our weekly clubs in Keynsham? 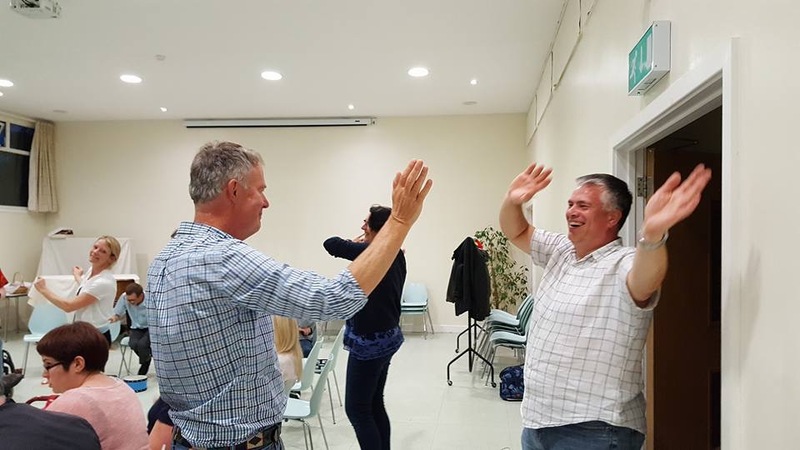 We run 5 clubs each week for adults and while there is a paid Team Leader and often a Deputy responsible for each club they could not run without our dedicated volunteers. A summary of each club is below and you’ll find more details of the fun you’ll have and what’s expected of our volunteers on the individual club pages. You can volunteer for one club or several clubs and we can be flexible if you can’t make it every week. We just ask that you let us know your availability so we can plan. The clubs for adults are all based in Keynsham (Postcode BS31). Rather than watching Eastenders how about helping out at our 18+ social club? It runs every Thursday evening in Keynsham and could be the highlight of your week as well as many of our members. 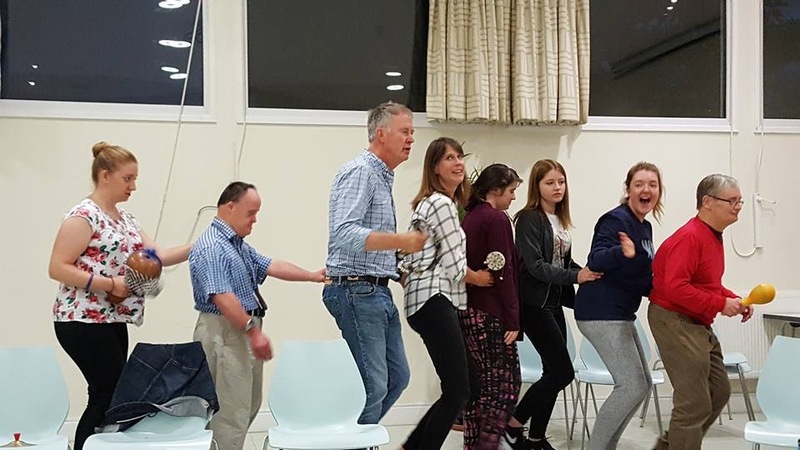 There is an exciting programme of events that is different every week and members choose to take part in either in-club activities or go on the external trip in the mini bus. View an example programme. Oh and there is often music which is a cue for spontaneous dancing. 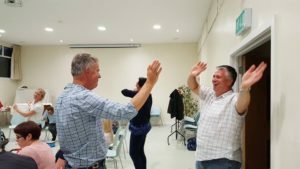 It helps if you can either do “dad dancing” or “dance like no-one is watching” as demonstrated by volunteers Niall and Toby who can do both! So what would you actually be doing at club, apart from occasional dancing (which is optional of course)? Volunteers are needed to help support members taking part in activities such as crafts, themed nights, discos, circus skills, movie night, drumming, also running the tuck shop and helping clear up at the end of the evening. 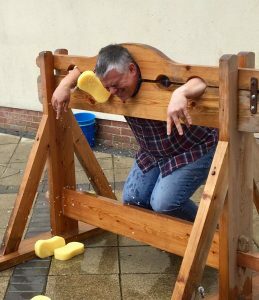 Volunteers also go on the external trips – to the pub, bowling, for a meal, crazy golf, Bath Christmas market, campfire in the woods, ice cream parlour etc – so there will be lots of variety in what you do. More details on 18+ Club. 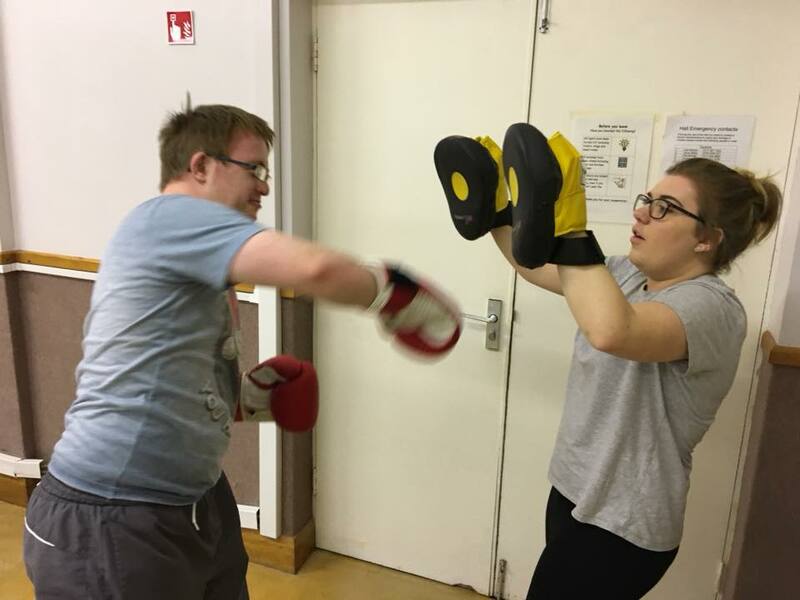 Go Ex plore Club was created specifically for members aged 18-25 to help them transition from the kids clubs and has a focus on developing independence and life skills. Fitness Club is for over 16s and is run by a qualified fitness instructor. Its an opportunity for members to get active and get involved in activities that match their abilities. Volunteers assist members so they can take part in activities and provide buckets of encouragement and praise. More about Fitness Club. 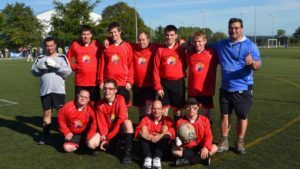 We have a members football team who compete in the Somerset FA South West Ability Counts League and play regular league matched against other teams from the region. More about Football Club. Boccia (pronounced bot-cha) is a Paralympics sport similar to bowls. 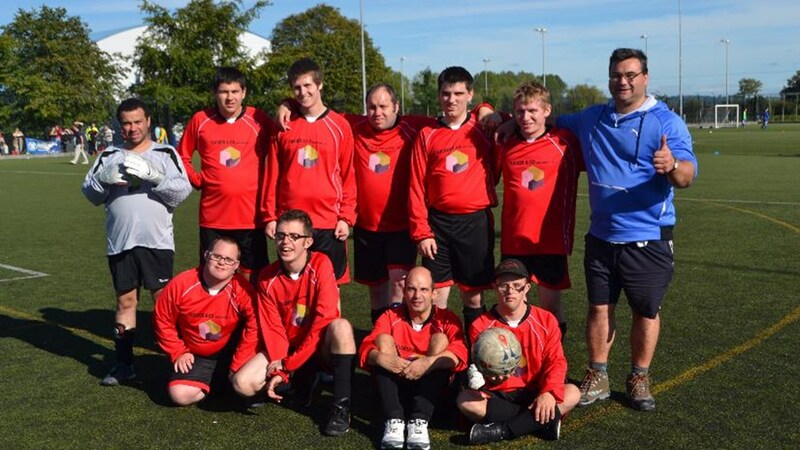 Our club offers members an opportunity to take part in this fun, inclusive sport and develop their skills. You don’t need to be particularly sporty or active to volunteer, just a willingness to get involved and a positive attitude! 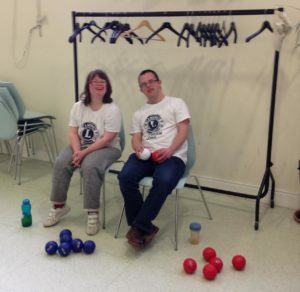 More about Boccia Club. Christmas Dinner – staff at our regular venue even ask to work the night we are there! 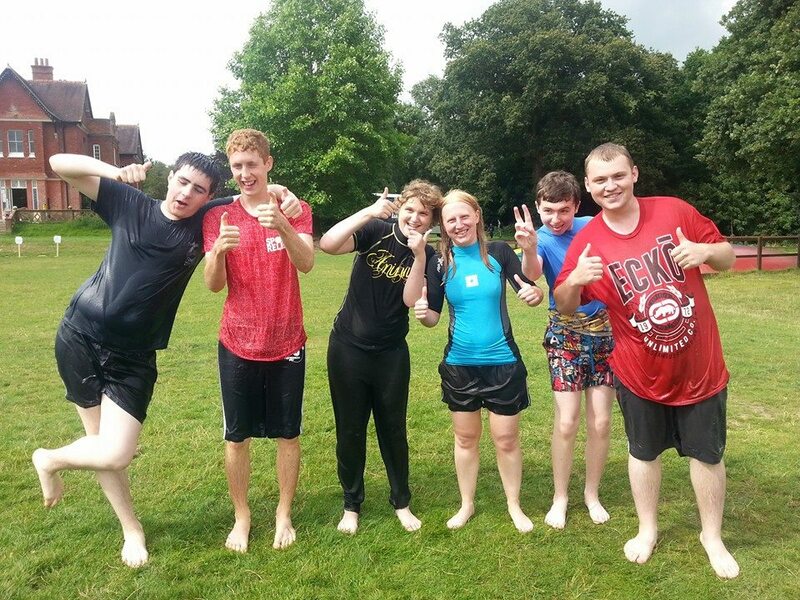 This is just an example of the extra events that Keynsham Mencap run for our members. These events cannot happen without volunteers so come on, get involved. Could you help us by volunteering for holidays? 3 or 4 times a year, between June and September, we take members on holiday usually in the South West either for a week or a long weekend. 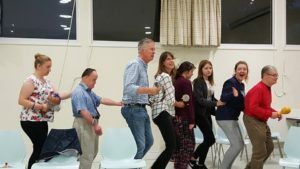 Its a fantastic opportunity for members to experience more independence, hang out with their friends and have oodles of fun. For volunteers its an opportunity to really get to know members better and make a huge contribution to this special occasion. Its not a relaxing holiday for volunteers as we’d be kidding if we let you think it was restful however its possibly the most rewarding of all our opportunities. Did you watch the holiday video above? Could you see yourself in those volunteer’s shoes? support a good cause – charities like ours rely on volunteers, we need you! So what do you need to do to get involved? You can come along to ‘have a look’ and chat to other volunteers at the clubs – do call the office to arrange this though rather than just turning up. That way we’ll know to look out for you and make sure there is someone ready to show you round. By arrangement you can just give it a go, come along for a few weeks and see if its for you.